We’re preparing for our last AMA (Ask Me Anything) hour of 2018 - and we’d love your questions! As well as knowing all there is to know about our Tastings & Events schedule, Emma is much-loved around here for her legendary food-and-wine matching knowledge! This is your chance to ask Emma for her food and wine tips and tricks - especially if you’d like some help with Christmas planning! You can also ask Emma about our plans for Tastings next year too, of course! Our current Tastings calendar is here. Send your questions by replying to this topic. Emma will then join us live for an hour’s chat at 1pm on Wednesday 7th November, where she’ll answer your advance questions and as many followup questions as we have time for! 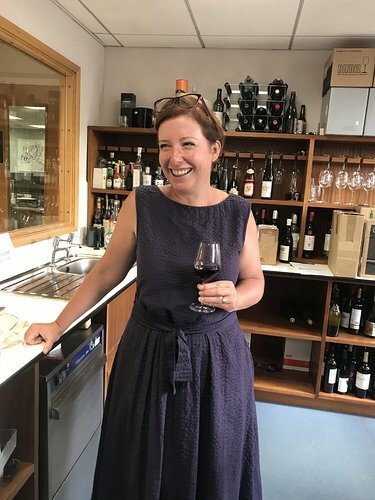 Click here to see what happened during the last two AMAs with our USA, New Zealand and Australia buyer Sarah Knowles MW. and our English wine and beer buyer Freddy Bulmer. Looking forward to seeing your questions appear below…! Q1. Is the 2016 worth the extra few quid? (I’m instinctively drawn to the 2015 with a little more age… I’m still only on my 2009 La Rocca’s!). Q2. What to serve with it? (adopting a chhose the wine and the food will follow… approach). What wine would you serve with roast goose? Our Boxing Day meal will be left over turkey and ham, chips and left over gravy (cos we’re northern and do things like that!) and bubble and squeak from the left over veggies. What wine(s) would you recommend for this culinary left over extravaganza? I’m not sure I understand how you can have “left over” gravy, especially being Northern! You let it set, then spread it on bread. I’m cooking a ham with orange juice and apricots for New Year. What would you pair with that? Also, what in a festive menu can I drink this late harvest Gewurtztraminer with? I think the Christmas pud might kill it, but I’m pretty desperate to get it in there somewhere. 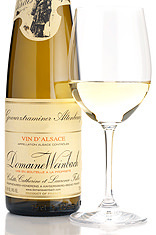 Exquisite late-harvest style that magically combines luscious fruit and racy acidity. I’ll second that as I’ve got the in laws coming over for Xmas day and that is exactly the question I would ask! I absolutely love that you’re asking what FOOD will go with the wine and not the other way around ! Straightforward, a great white and red to serve with roast turkey. Have the in-laws with us this Christmas, dinner is likely to be beef and turkey, mother-in-law is teetotal what low/ non-alcoholic wine would you suggest? Goose has to be one of my favourite Christmas dishes (complete with stuffing of course) and severed the German style with red cabbage, gravy, sauerkraut and dumplings. What wine pairing would you recommend? I generally favour reds, but have tried most things from Mersault to red and white riojas so Aussie Shiraz. I haven’t hit on the right combination yet, hence the request for your sage advice. …I have a pistachio-related dilemma. Cliched though it may be, nuts are one of the regular staples in our veggie festive dishes, and this year I’ve had my head turned by a roast recipe that involves a striking amount of pistachios. Quite a distinctive flavour and texture, and I’m scratching my head more than usual about which bottle/s might be best. The strongest ideas I’ve been able to come up with so far are a dry Alsace riesling and/or a spicy Oregon pinot noir. Do you think I’m on the right lines or is there another option or two you might be able to suggest? As always, I value your foodie wisdom. Cheers!